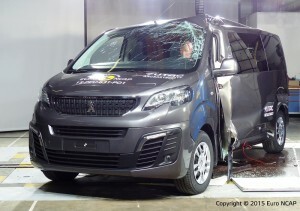 We recently wrote about Peugeot Traveller: how good it is in every aspect. The French praised it for its safety active systems. But how does it behave in a real crash? 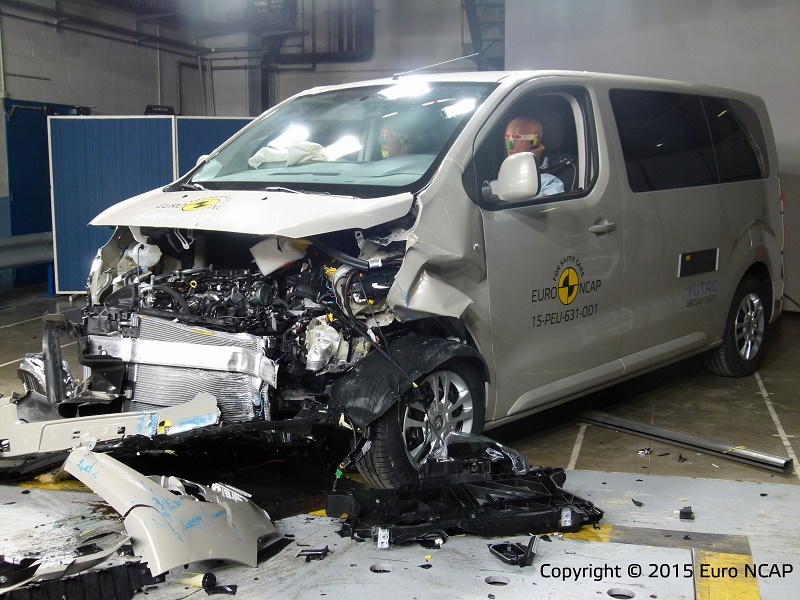 EuroNCAP might have the answer. When we say Peugeot Traveller, we equally say Citroen Spacetourer and Toyota Proace. Especially when talking about safety, because all three of them share the most important features: the same platform and the same active safety systems. It’s not the first time when PSA group and Toyota cooperated: as you know, they share the C1, 108 and Aygo models. It’s not only a matter of personal preference, because the engine range is different from one car maker to another. 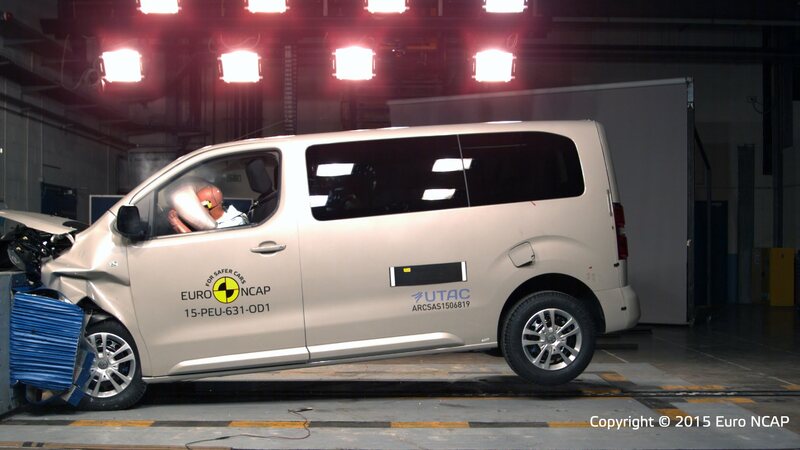 Regarding the safety, however, all three managed the same, excellent result in the Euro NCAP tests: they scored a maximum five stars. Thanks to this result, they lead the “Business and Family Van” segment, being much safer than the upcoming duo Opel/Vauxhall Vivaro and Renault Trafic. The German/French model disappointed with its only three stars overall result. Getting back to the winners, they reached 87% protection for adult occupants, 91% for children occupants, 64% for the pedestrians and 78% at the safety assist. Could it be any better? 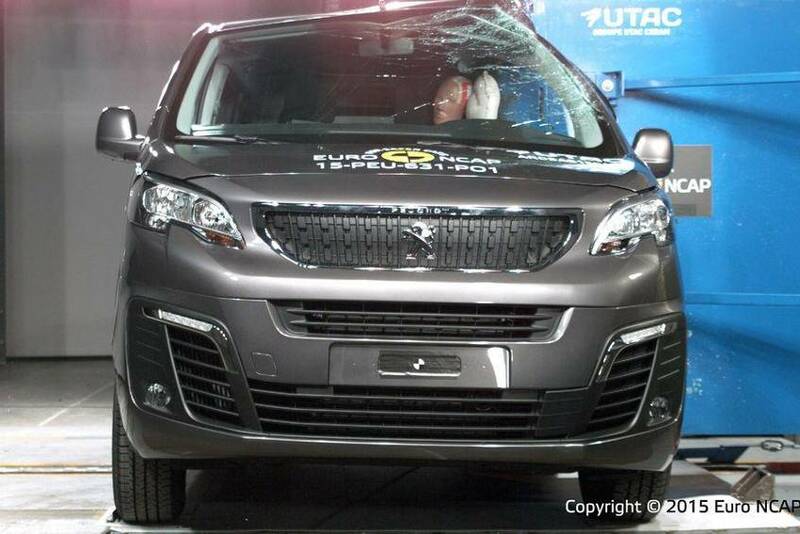 Probably so, if safety systems like knee airbag, side pelvis airbag or integrated child seat would be available. Anyway, the new van is equaled by Vivaro and Trafic only at the children’s safety score. If you’re an adult, then being in or around the Traveller is safer!